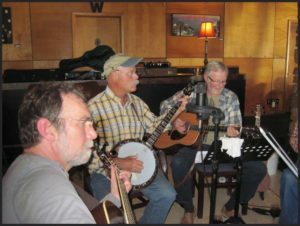 On Wednesday evenings in Ellison Bay, you’ll want to enjoy a fabulous meal at The Fireside Restaurant so you can enjoy the wonderful music of Hard Maple, a group of Door County musicians who are making a difference! Every Wednesday Hard Maple hosts an Acoustic Music Session at the Northern Door restaurant from 5-7pm to benefit a local charity like the Peninsula School of Art, the Open Door Bird Sanctuary, The Northern Door Children’s Center, Door County Secret Santa, and more! To suggest a charity for a future show to benefit, post on the Hard Maple Facebook Page. For more information or to find out how to make a contribution even if you can’t attend, email: hardmaplemusic@yahoo.com. Need directions to the Fireside? 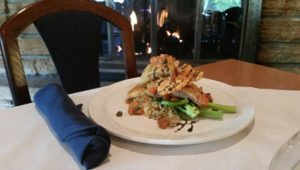 Want to see their menu on the go or call for reservations? Download the Door County Chefs Mobile Dining App available on iTunes and GooglePlay to find ALL of Door County’s great dining spots. Book your rooms the help of Door County Lodging‘s Lodging Specials and Last Minute Lodging Blogs and find more live music and entertainment on our Calendar of Events!